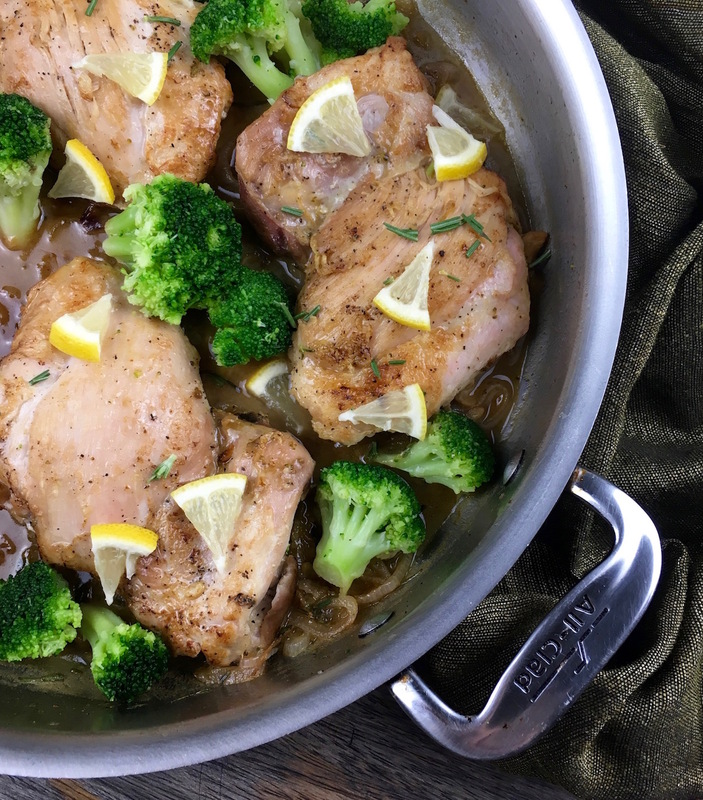 Looking for a delicious lemon chicken recipe? This baked lemon rosemary chicken recipe is fast and easy and so good, you will want to make it every week. Bursting with flavor and moist, this easy chicken skillet recipe is perfect anytime. 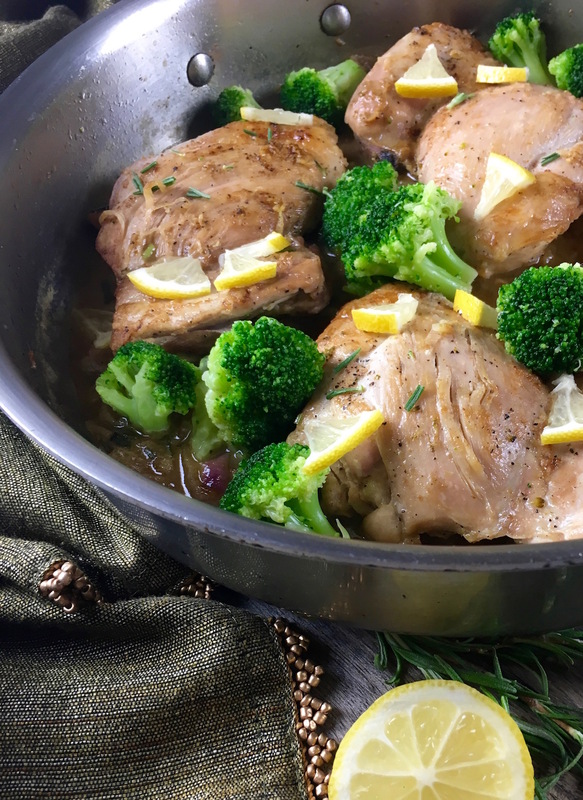 Lemon rosemary chicken is a great easy meal. It is made in one pan, including the broccoli side dish, that it makes it a great choice for a weeknight dinner. 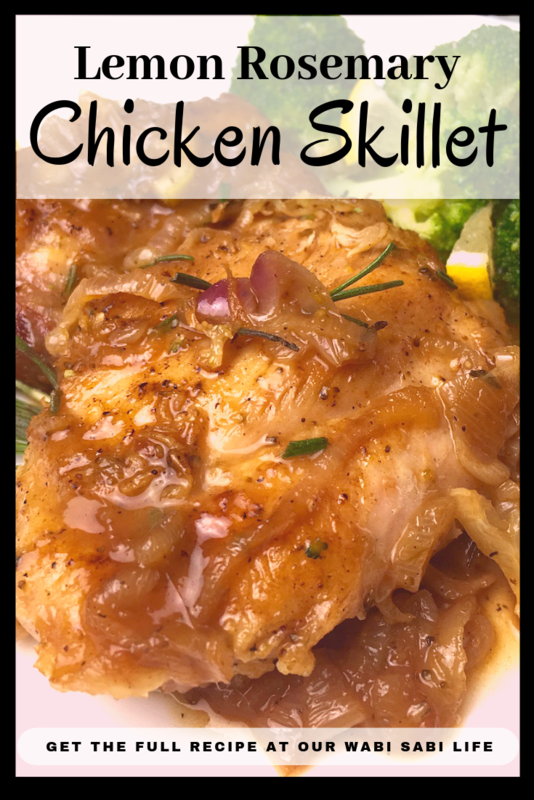 This skillet chicken is ready fast and has a ton of flavor. How to Make Fried Breakfast Potatoes – These breakfast potatoes are actually great for any meal. Loaded Cauliflower Bake – If you want to keep this low carb meal keto approved, you can make a loaded cauliflower bake. Wild Rice Pilaf– Rice and chicken go great together. We serve rice often when we make chicken. Broccoli: you can use any vegetable you like. Rosemary: If you don’t enjoy rosemary, you can leave it out of this recipe. 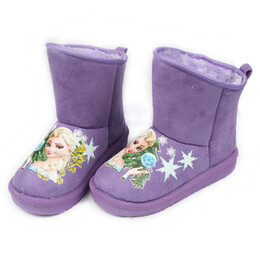 (scroll down for Weight Watchers changes) only 1 Weight Watchers Point! This one-skillet recipe is packed with flavor and is oh-so-easy to prepare. 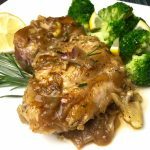 The classic pairing of fresh rosemary and lemon is the centerpiece of this dish, while the addition of sautéed shallots adds a subtle depth to the flavors. 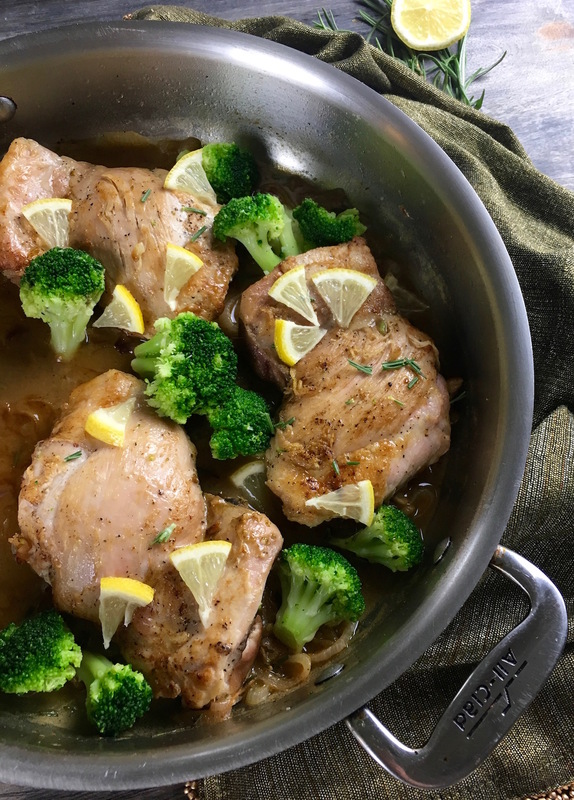 When paired with frozen broccoli, you have the makings of a satisfying, low-carb meal that will soon become a new family favorite.